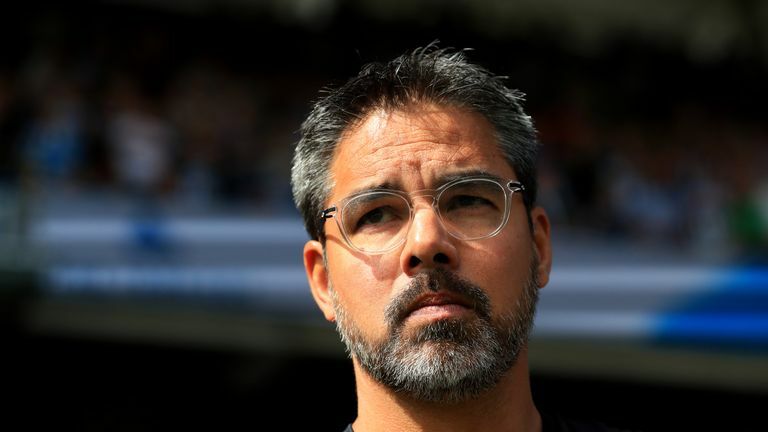 Will David Wagner's Huddersfield upset Manchester City? There will be a point during Huddersfield's game against Manchester City on Sunday when David Wagner's eyes drift towards the opposition bench. If the occupants look anything like last week then it will include Gabriel Jesus, Leroy Sane and Vincent Kompany. Wagner could be forgiven for feeling a little envious of Pep Guardiola. But it's just not his style. "I am not a dreamer, I am a worker," he tells Sky Sports. "That is why I am not dreaming of being the manager of a club like Manchester City. This is why I respect and accept the circumstances that I have in front of me and I try to do the best in those circumstances. I think you have to be honest with yourself. You have to accept your situation and do the best that you can. "That is exactly what I have done since I arrived nearly three years ago." It has been some three years. Wagner arrived in November 2015 with Huddersfield in 18th place in the Championship and supporters looking down not up. When the club's chairman Dean Hoyle announced that Wagner's 'football philosophy is directly in line with ours' there were few in the town, let alone the country, who really knew what that meant. An improbable promotion to the Premier League followed in Wagner's first full season and then - in their first top-flight season for 45 years and against all the odds - Huddersfield stayed there. They beat Manchester United at home and then got results at Manchester City and Chelsea in their final two away games to secure safety with a game to spare. Christopher Schindler handled the step up comfortably and Aaron Mooy impressed too. But this was a triumph of team spirit. "I think we are all totally aware that this is our strength," says Wagner. "This is the key for us, to keep this togetherness and keep this strength. We need to keep this hunger and this desire to overachieve as part of our DNA. "We altogether have to accept our role. It is an enjoyable role. Nobody has any complaints about the circumstances and the role that we have. We accept it. We made everyone we signed aware of this and everyone we kept at the club aware of this. This is our way." Wagner signed a new three-year contract in May but he hopes to have created something that lasts far longer. "This Terriers spirit, this Terriers identity, will be part of the club's DNA whatever comes in the future," he adds. "I think this is something that, hopefully, will not change and will stay forever, independent from me or anyone else who works here. "The club has now found its way. It has found its identity. Now it is about building on this identity and finding the people who can work under this identity. There is no longer a question of whether or not it is right for the football club. There is no doubt about this. It is what this football club was desperate for - to find an identity and create our own identity." Creating a culture at a club is difficult to do but maintaining it can be even harder. Will the Huddersfield fans remain as boisterous as before second time around? Can those players who performed above and beyond expectations deliver again? After winning their first two games last season, this time there was a 3-0 home defeat to Chelsea first up instead. Once again, the bookmakers have Huddersfield as odds-on to go down. But Wagner is optimistic precisely because he is a realist. The mood is the same. "Nothing has changed," he says. "I think everybody is realistic enough and can judge everything clearly enough to know who is the favourite and who is the underdog. It isn't easy. Everybody knows this. "If we can secure our status for a second consecutive time this would be a massive success for our football club. We would like to achieve again something that most of the pundits and everybody else doesn't think is possible. We would like to prove once again that it is possible for a club of our size and the circumstances to stay in the Premier League." There are other reasons to believe. The club had a positive pre-season in which Wagner not only saw his squad relatively unaffected by the World Cup but was able to work with a full squad throughout the summer. "All of the players were able to train for every single second of every single session and this was extraordinary," says Wagner. We would like to achieve again something that most of the pundits and everybody else doesn't think is possible. Huddersfield strengthened significantly too, albeit in their own way. Wagner admits it was "impossible to sign proven British Premier League players" because of the costs so the club had to be creative. "We are not a typical Premier League club," he explains. "So we had to shop in different shops to other Premier League clubs." The loans of Terence Kongolo, Jonas Lossl and Florent Hadergjonaj were made permanent, and Wagner has also been reunited with Erik Durm, a left-back he coached at Borussia Dortmund. But Juninho Bacuna and Adama Diakhaby are new faces, U21 internationals with Netherlands and France respectively. Ramadan Sobhi is a £5.75m signing from Stoke. "Everyone can see that we went for young, talented players under the age of 24 or free transfers where we didn't have to pay a fee for them," says Wagner. "We have tried to strengthen our offensive line with speed and you can see from their ages that we have signed a lot of potential talent. We see a lot of value in the players that we signed. "We have players who have shown their quality, not necessarily in the Premier League, but in good divisions such as France. We want to give them the platform to show what they are capable of here with us. All of them are good characters, first and foremost, who are very hungry to show that they can compete in the Premier League." They will need all of that hunger and more on Sunday. But here too there is hope. In holding City to a goalless draw at the Etihad Stadium in May, Huddersfield became the only visiting team to keep a Premier League clean sheet at the stadium last season. The statistics show that they were also the only team to deny City a clear-cut opportunity there. In the home fixture, Huddersfield were even better. Only a late Raheem Sterling goal separated the sides. City were so stymied by Wagner's deployment of Laurent Depoitre on Fernandinho that Guardiola admitting in the summer that his players must find a new way to cope against it. No Premier League team conceded fewer goals against City last season. "We have experiences against them, this is for sure," says Wagner, also mentioning the FA Cup replay they secured against Guardiola's City while still a Championship club. "It's something extraordinary to play against the best but this doesn't change the fact that we want to be successful against them. We will work and we will fight. "There is not a real secret but the key for us is that we will work our socks off and we will be very brave. If we can do these things it will make it uncomfortable for them. Brave means that we will try to create something for ourselves. Brave means never going backwards when we can go forwards. That is the bravery that we need." It is the sort of bravery that Huddersfield have had to show just to get this far. And if it is not enough on Sunday, well, the work goes on. 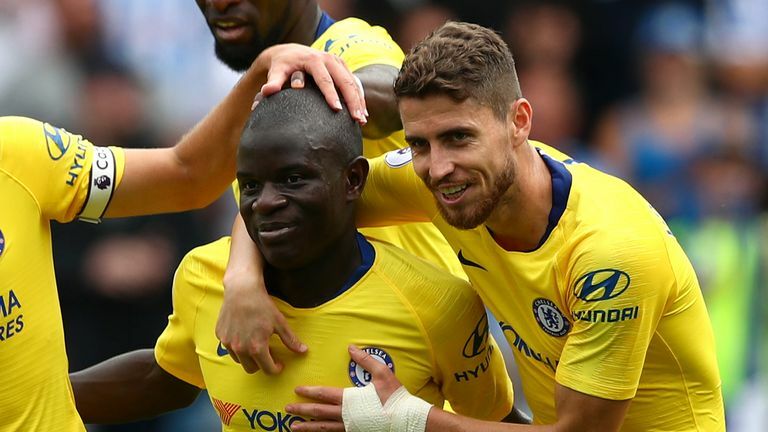 "The only thing that matters is the big picture and the big picture for us is securing a third consecutive season in the Premier League," he adds. "It's a club still in progression. It's a club that still has a lot of work to do." In Wagner, a worker not a dreamer, they have the perfect man for that job.